After passing over South Florida and the Keys this weekend, Tropical Storm Isaac moved into the Gulf of Mexico today with an expected landfall on the Gulf Coast on or near the Aug. 29 seventh anniversary of Hurricane Katrina’s landfall. The Coast Guard was urging residents and boaters along the coast to prepare for Isaac, which poses a serious threat to Texas, Louisiana, Mississippi, Alabama and the Florida Panhandle, according to forecasters from NOAA and The Weather Channel. Click play for a CBS report on the damage left in Key West, Fla.
Late this morning the storm had winds of 65 mph and was moving west/northwest at 14 mph. Forecasters predict that Isaac will strengthen into a Category I hurricane (sustained winds from 74 to 95 mph) later today or tonight. The size of the warning area and the storm&apos;s wide bands of rain and wind prompted emergency declarations in four states. 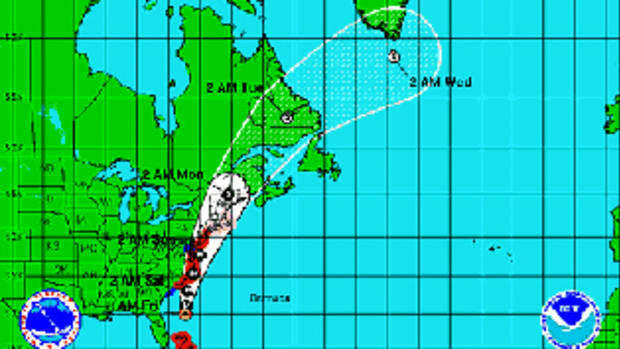 The predicted path has the storm making landfall in Louisiana or Mississippi. Click play for a report on what the Gulf Coast might expect. The Coast Guard recommends monitoring VHF channel 16. 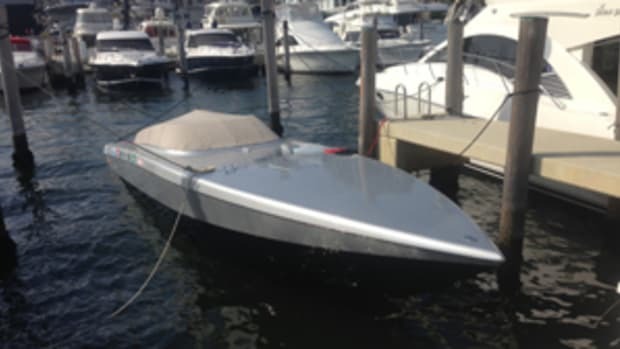 Waterfront facilities and marinas are required to remove items that can become airborne, as well as hazardous materials and oil hazards, from dockside areas. Trailerable boats should be hauled and stored in a place that is not prone to flooding. 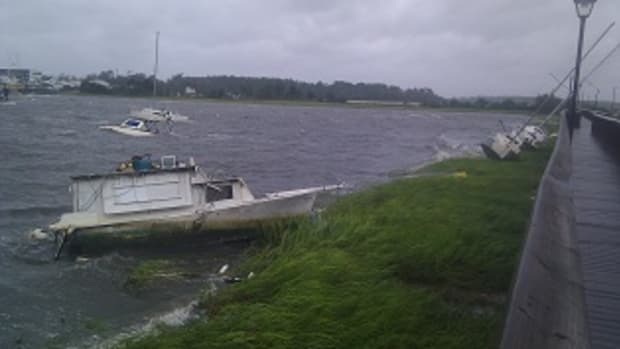 Owners of large boats are urged to move their vessels to inland marinas, where they will be less likely to break their moorings and less vulnerable to damage. Those who are leaving boats in the water are reminded to secure life rings, PFDs and dinghies or other small boats.